Designers & manufacturers of winter maintenance & ground support equipment. Clearing the way since 1936. James A. Cuthbertson Ltd commenced trading in 1936 and was incorporated as a limited Company in 1946. The Company has participated in many varied aspects of agricultural and general engineering since its formation and is well known throughout the world for expertise, innovation and quality of product. 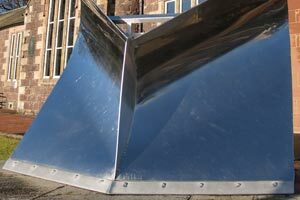 Apart from our general engineering work, we specialise in the manufacture of snowploughs and spreaders. 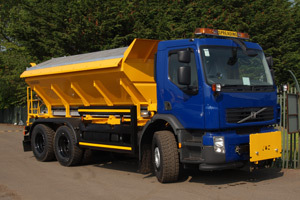 Our snowplough range offers designs to suit all types of vehicles and snow conditions. The straight and fixed vee range of snowploughs are complemented with straight blade snowploughs from 4’ tractor ploughs through straight blade highway type ploughs to 6m wide airfield ploughs. The spreader range offers road driven units from 0.26m³ capacity, hydraulic driven towed spreaders from 0.8m³ capacity and a full range of demountable, hook lift, body swap and permanent mount spreaders from 0.8m³ to 12m³ capacity. All these units are available with a plethora of options dependent on customers’ requirements. From 4’ ‘ploughs to a Hi-Lift. A front or rear ‘blower, we have the full range. 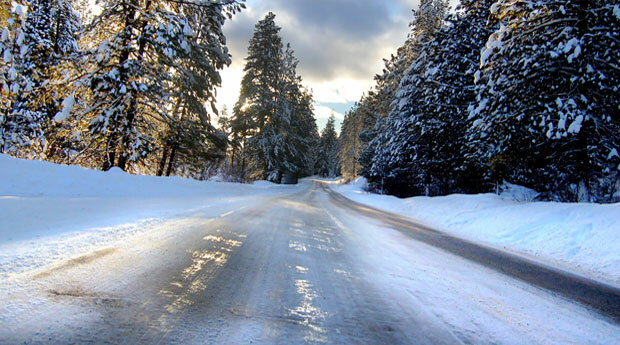 See our snowplough / snowblowers page for more information. We offer the ultimate in flexability and choice when it comes to spreaders see our spreaders page for more information. 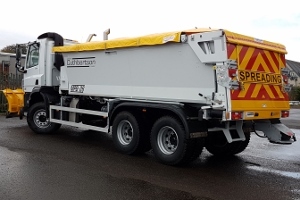 Our Multi Purpose Body is truly an all-rounder and our truck bodies offer the Clyde built attributes Cuthbertson are renowned for. For more information see our vehicle bodies page. Cuthbertsons’ also offer airport ground support equipment. Check our airport equipment page for the full range.